Nintendo is yet again enjoying a bumper sales success with the latest Wii MotionPlus game Wii Sports Resort, yet a group of scientists have announced the next major breakthrough in motion sensing technology. 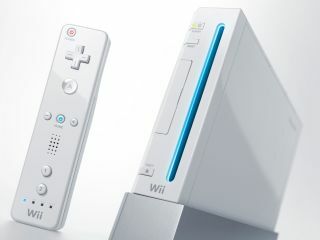 NEMS (Nano-Electro-Mechanical Systems) is being pitched as the eventual successor to the MEMS (Micro-Electro) motion-sensing tech used by Nintendo in Wii MotionPlus. The latest NEMS breakthrough comes courtesy of a bunch of researchers at TU Delft in The Netherlands, who "have succeeded in measuring the influence of a single electron on a vibrating carbon nanotube." The scientists, from the Kavli Institute for Nanoscience at TU Delft, have published their latest findings in the journal Science. The experiments in the project took place in a cooled environment close to absolute zero and involved a "suspended vibrating carbon nanotube, comparable to an ultra-small violin string" which starts to vibrate at a certain frequency as a result of a surrounding alternating electric field. "The number of electrons 'allowed' on the nanotube causes very slight changes in the vibration behaviour of the tube," reports PhysOrg. "Thus the frequency at which the nanotube vibrates shifts very slightly each time an electron is added. The scientists have succeeded in charting the influence of the presence of just a single electron. The research is vital to the development of NEMS (Nano Electro Mechanical Systems) such as ultra-small switches and measuring instruments, with applications of the technology including ultra-sensitive motion-controllers for games companies.